not sure what you mean. Breakfast is included with hotel stay. ( I think with any rate) Restaurant on site is very affordable. I need help getting our Russian tourist visas and can't get a response from the hotel. Can anyone help us please? I emailed the hotel using TripAdvisor's email system on December 4, December 6, and again today December 12 about getting the tourist documents needed to get Russian tourist visas, but the hotel has not responded. We are going to St. Petersburg at the end of April, but will need our passports in February for a short weekend trip to Canada, so we need to get the visa process completed as quickly as possible. How long is a reasonable amount of time to wait for a response? If you have stayed here, what did it take for you to hear back from the hotel about the tourist documents for your visas please? It seems impossible to have great ratings with this lack of response from the hotel, so there must be a problem somewhere. Anyone know what it could be please? Many thanks for any help you can provide. We also used an online agency to get our invitations. You just pay for it online and and they email it to you instantly. 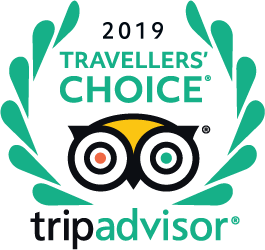 Unfortunately I am unable to include the web address as it against the trip adviser policy (it wouldn't let me post it). My husband and I planned our whole trip to Russia ourselves and we had a wonderful time. Russian people are so helpful. We flew from Australia to Moscow and took the train up to St Petersberg. We stayed in the same hotel you are staying in St Petersberg. It is lovely. I noticed there exist laundry service in your hotel, is it self-service laundry? Is it ok to visit around the end of January? Can we walk around in the city en go sightseeing or is it too cold and is it better to come later in the year? Thanks. "No hay problema, son todas muy buenas."